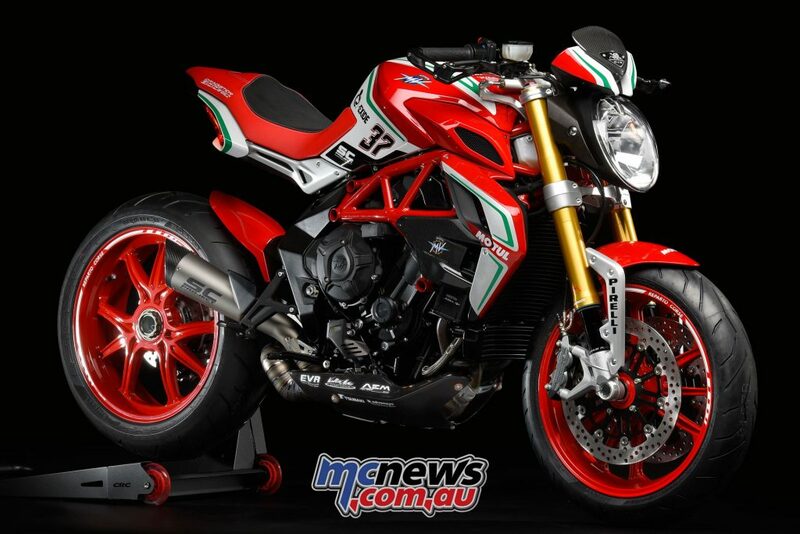 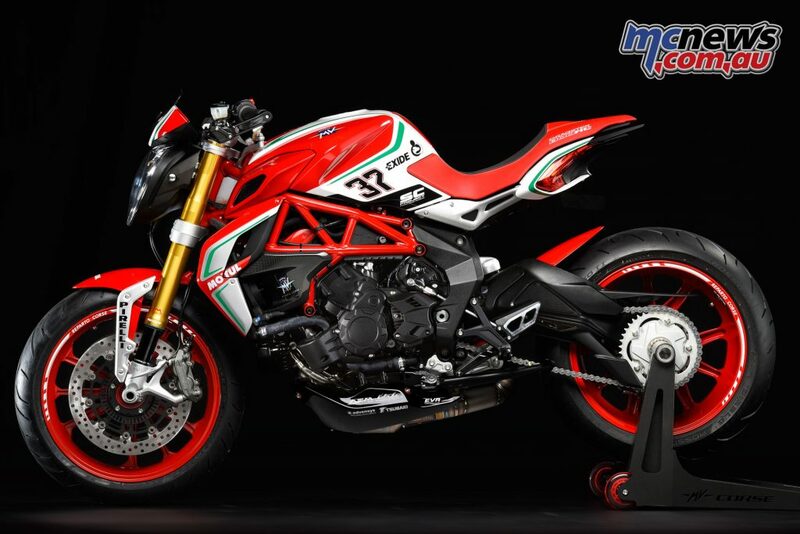 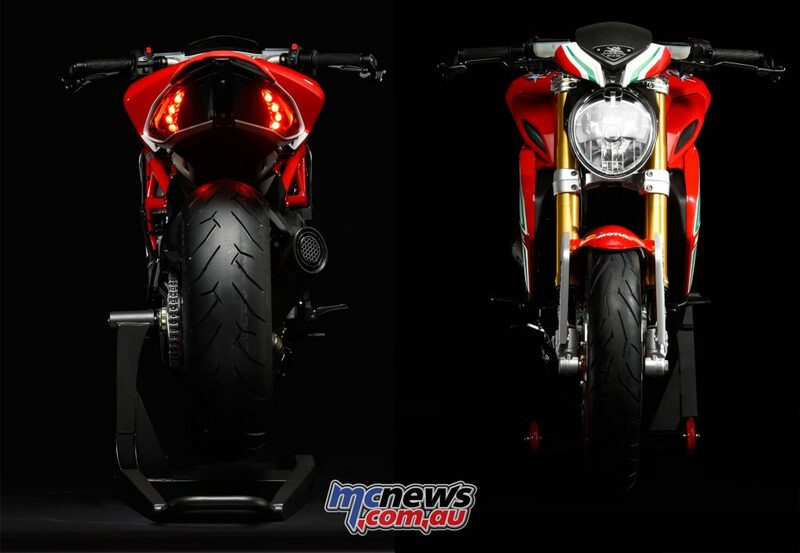 MV Agusta have announced that the Dragster 800 RC, which joined the RC line-up in 2017, will once again be available in 2018 with a limited run of just 350 for the year, featuring a host of updates and improvements and based off the already trick, factory custom styled Dragster 800 RR. 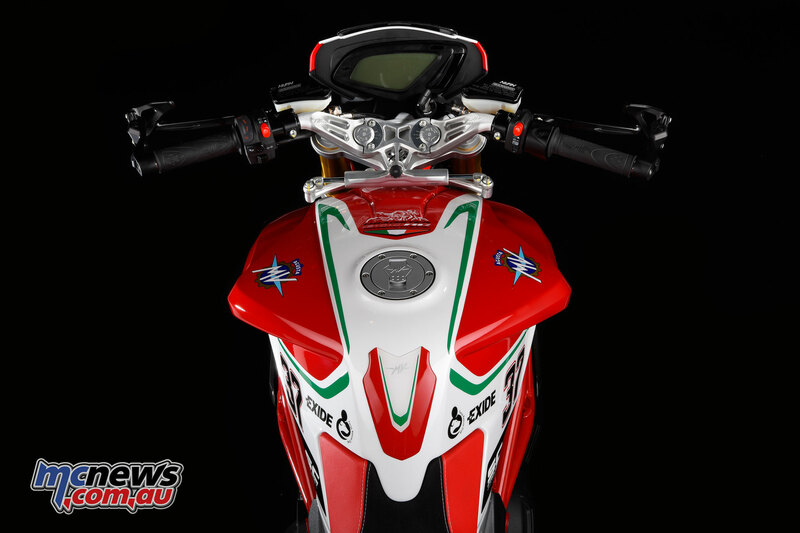 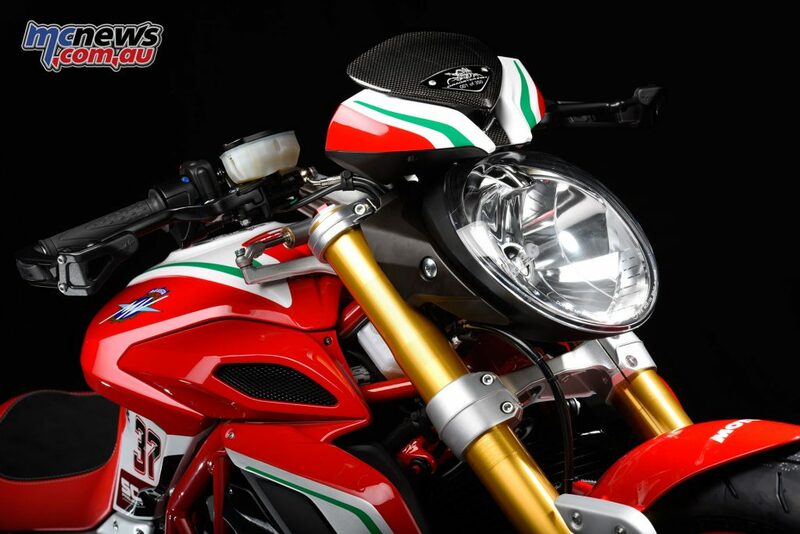 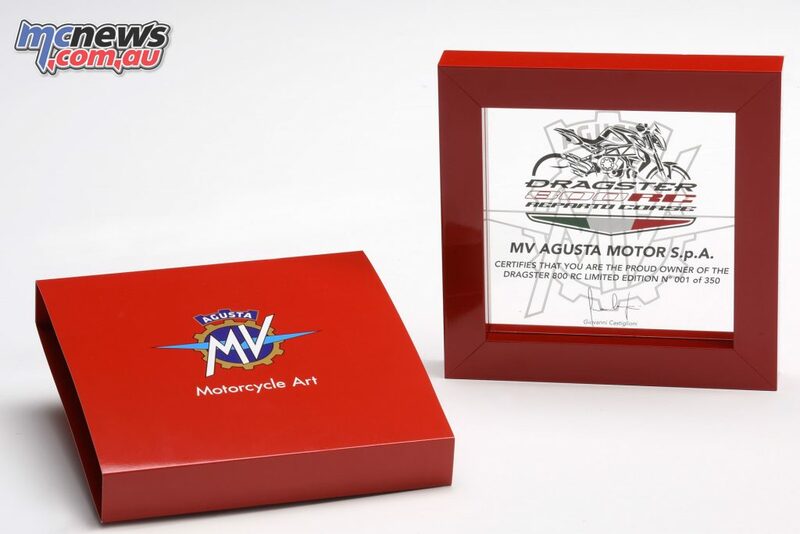 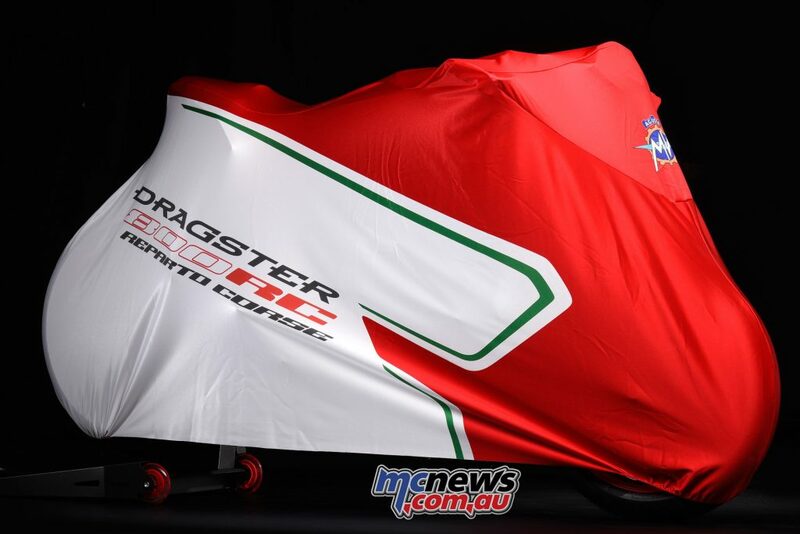 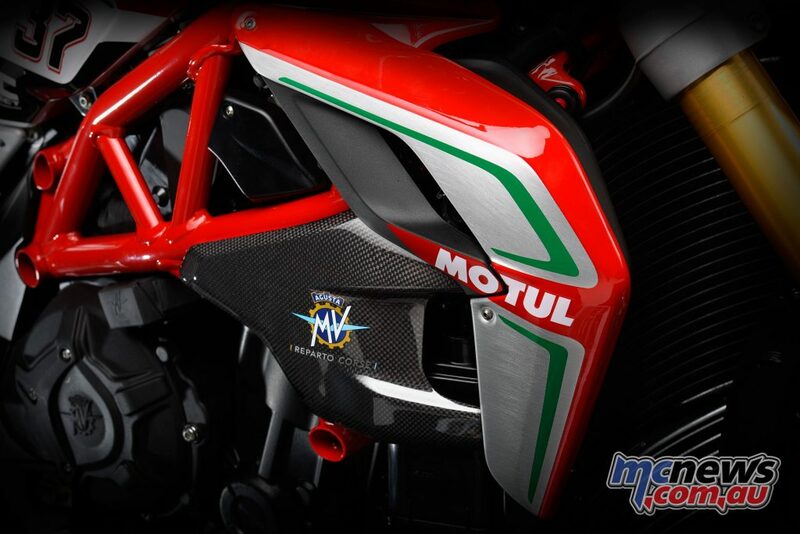 The RC livery, enhanced with racing-style graphics, was designed by the MV Agusta Reparto Corse (Racing Department) and inspired by the F4 RC, currently competing in the Superbike World Championship. 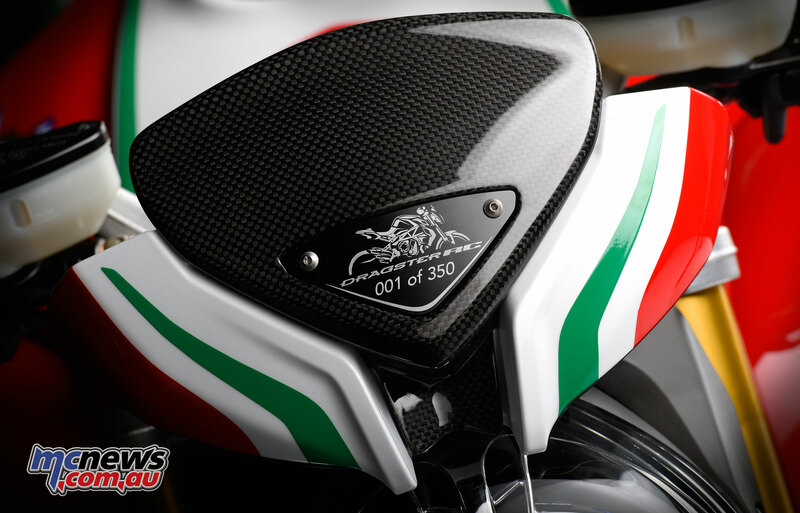 The Dragster 800 RC offers an exclusive mix of chassis, mechanics and style, including the iconic 200mm rear tyre, while the Dragster’s sophisticated chassis set-up ensures the effectiveness and riding pleasure of a sports bike. 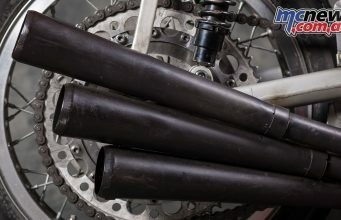 Complete adjustability is available on the Marzocchi USD forks, which feature a DLC treatment and anodised fork legs, while the Sachs rear suspension is mated to a single sided swing arm with a fulcrum point between aluminum alloy plates, that are united to the tubular ALS teel trellis frame. 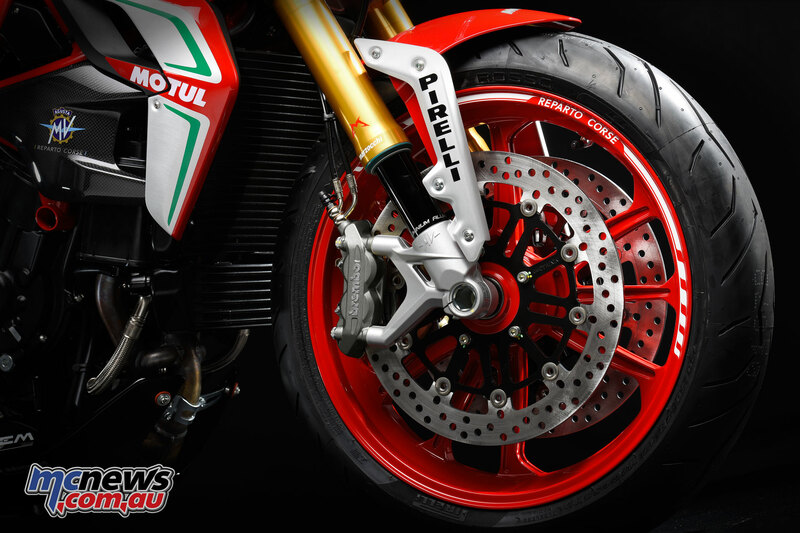 The braking system is composed of 320mm diameter front discs and Brembo four piston radial calipers, and is backed by Bosch 9+ ABS with rear wheel lift-up mitigation (RLM), while wheels are stunning RC forged aluminium nine-spoke offerings, with the single-sided swingarm proudly displaying the rear. 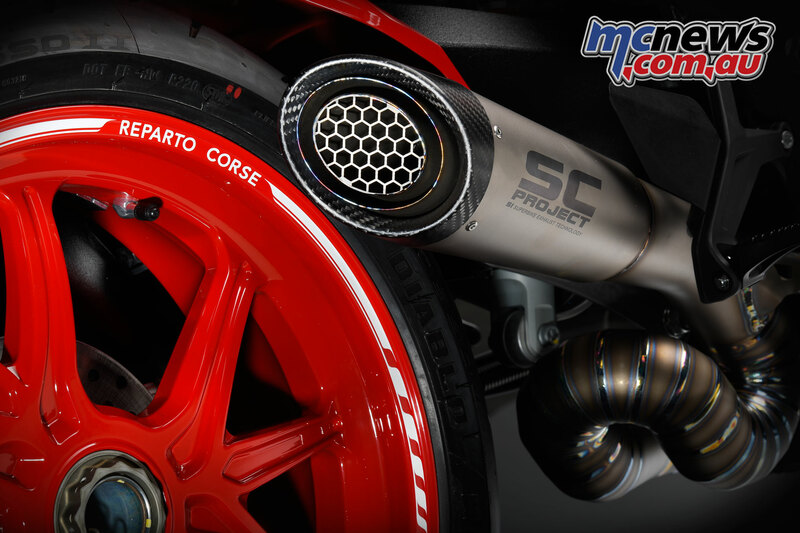 The pursuit for material lightness and sophistication is evident in the abundance of carbon-fibre components, which distinguish the 800 RC Dragster, and include the carbon-fibre and thermoplastic fairing, carbon-fibre radiator air-scoops, and carbon-fibre dashboard cover. 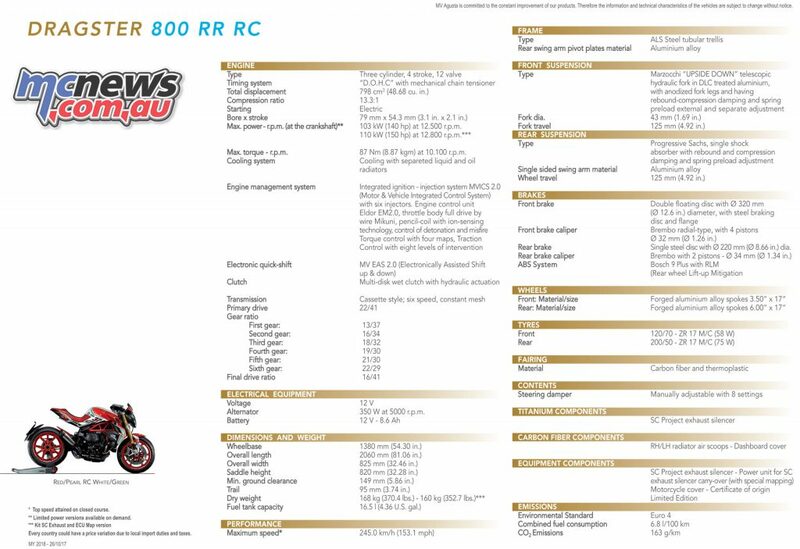 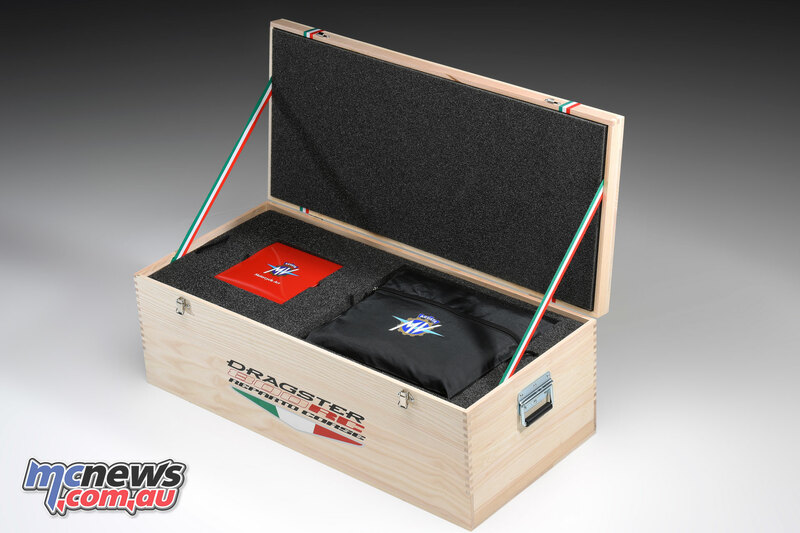 Also included is an SC Project titanium exhaust, which includes a special power unit with appropriate mapping to suit, as well as a RC motorcycle cover carrying the Dragster 800 RC name, and a certificate of origin, showing the 2018 Dragster 800 RC is one of a limited edition run of 350. 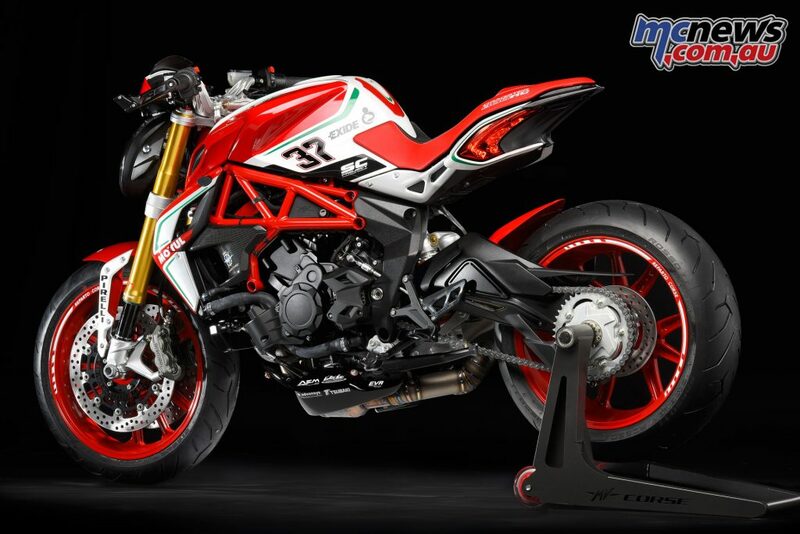 From a technical viewpoint, the new MV Agusta Dragster 800 RC has also inherited the many new features of the Dragster 800 RR and, like the entire three-cylinder platform, is Euro 4 compliant. The engine – fully designed and developed by MV Agusta – is the 798cc three-cylinder four-stroke 12-valve offering, boasting 140hp at the rear wheel and 87Nm of torgue. 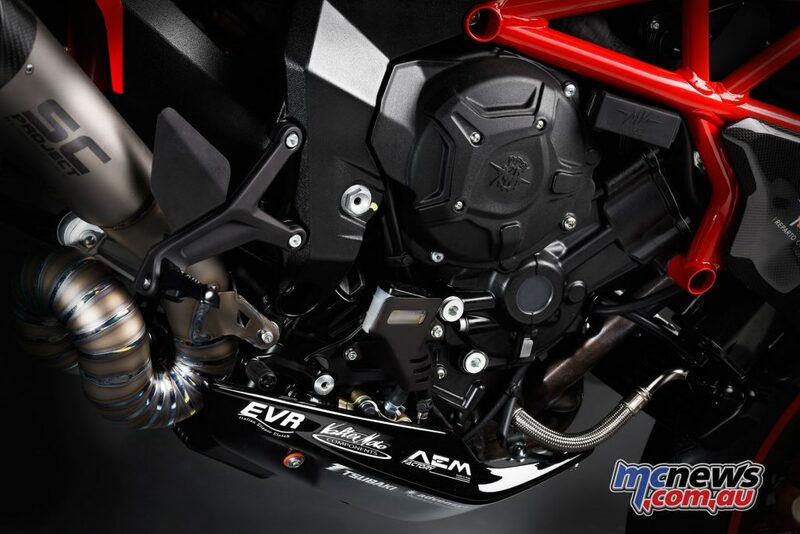 Liquid-cooled, with DOHC, and running 13.3:1 compression, with a bore and stroke of 79 x 54.3mm, the powerplant features the MVICS 2.0 EMS and six injectors, with two per cylinder offering finer throttle control and power delivery. 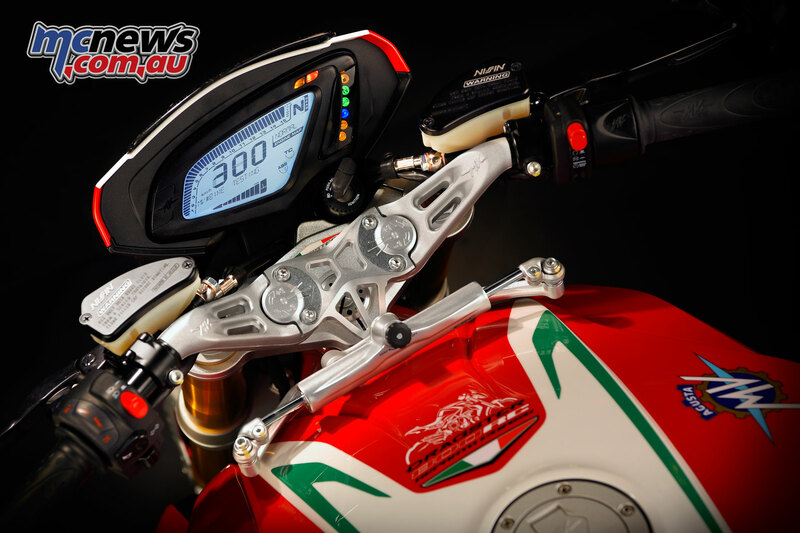 The engine control unit is an Eldor EM2.0 system, with full RbW and features the full electronic aid package, torque control with four maps, multi-level traction control and the MV EAS 2.0 up and down quickshifter system as standard. 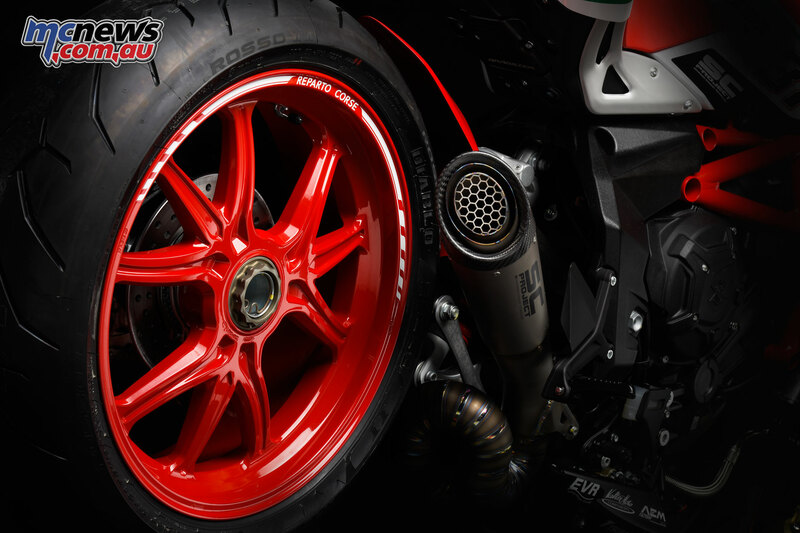 The clutch is hydraulically actuated, and the cassette style six speed gearbox offers smoother changes thanks to a new gear shifter. As with the F3 range, a completely new gear shifter is complemented with redesigned gear dogs to make shifts changes more fluid. 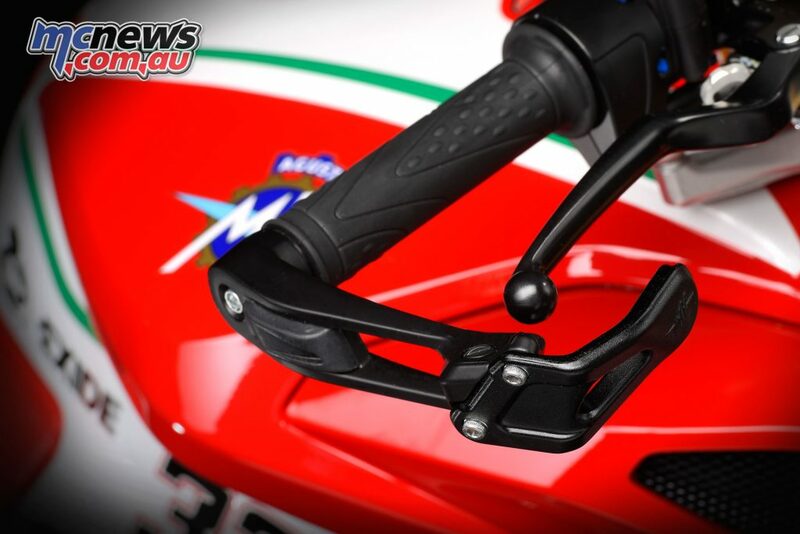 Average space between gear dogs has been increased by 45 per cent, lower lever effort and a reduced shifter recess angle. 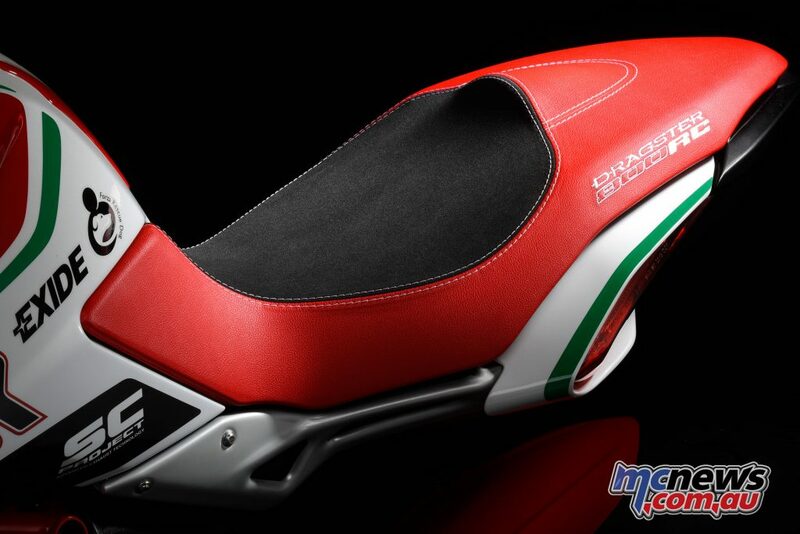 As on the F3 range, new engine covers have been fitted, these increase engine protection in the event of impact, reduce noise emissions (in line with the certification standard) and amplify the frequencies that combine to create the distinctive MV Agusta three-cylinder sound. 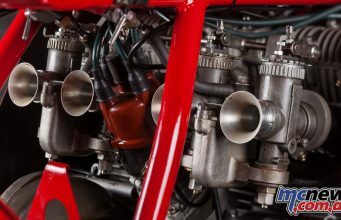 All electronic developments are shared across the entire three-cylinder platform. 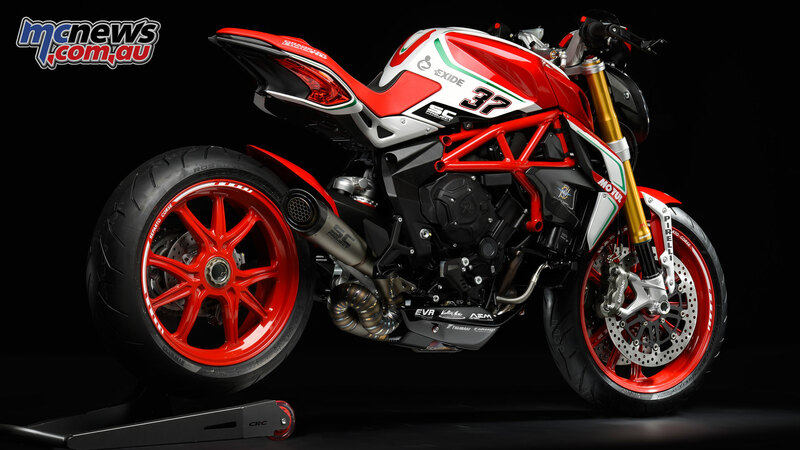 More specifically, they include new engine mappings (specially developed for the Dragster 800 RC) and eight-level traction control which has been further optimised to improve performance.